I check into Riverview Mansion Bed & Breakfast for the night, but I hardly take in the ornate Victorian beauty surrounding me in this mansion overlooking the Ohio River when I am out the door and back in my car again. This is Metropolis and, according to the State of Illinois Legislature, the hometown of Superman. My first stop is the iconic 15-foot tall Superman statue on Superman Square. After taking a few photos I next head for Super Museum just across the street. I am lucky enough to be greeted by the museum owner and curator Jim Hambrick. He opened the museum and adjacent store (with about anything you could ever want to remember your visit to Metropolis) in 1993. “I started in 1959 while investigating the murder of George Reeves,” says Hambrick who lived 15 years in Los Angeles before settling in Metropolis 25 years ago. His museum features more than 20,000 items. “I only have on display about 10 percent of what I have,” he says. Superman first appeared on the scene in 1938 when the first comic book was published. Since then, the adventures of Superman have morphed into radio and television shows, movies, newspaper strips and video games. 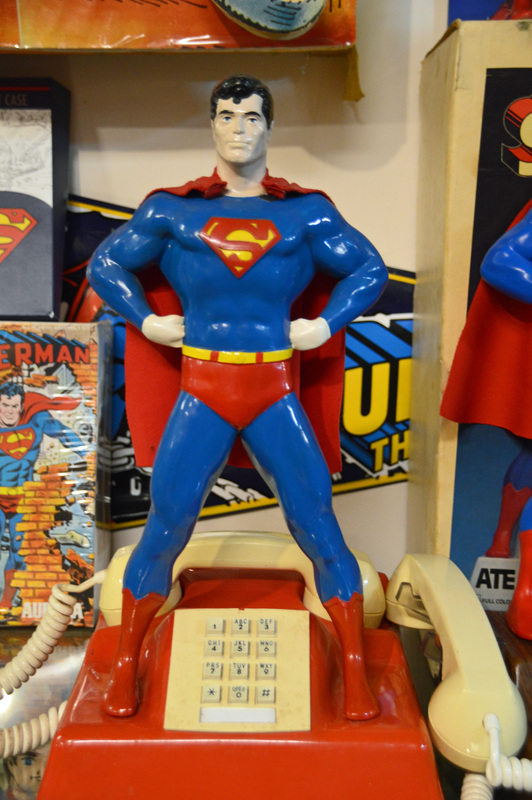 The museum is considered one of the greatest collections of Superman memorabilia in the world. 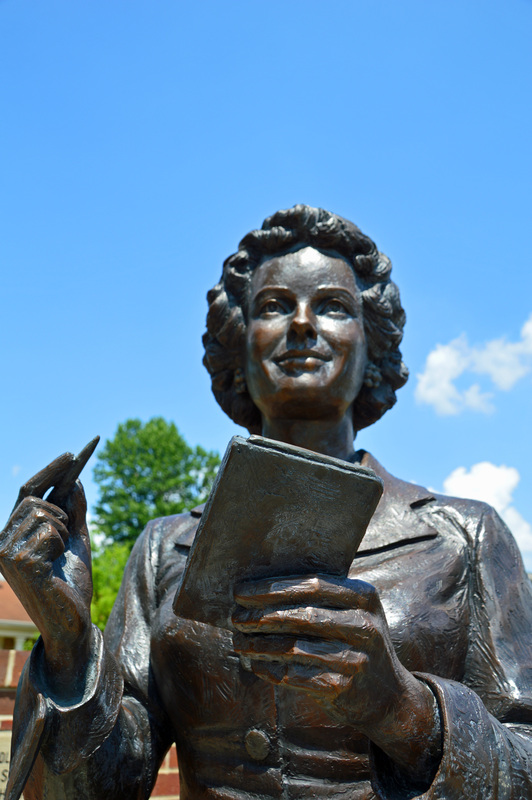 Hambrick’s museum covers all 80 years. I am immediately impressed with the vast assemblage of all things “super” when I walk into the museum. There are a lot of visitors this day and we quietly, almost reverently, walk through the museum. I feel great respect for Hambrick who has successfully corralled the visage of Superman in this large museum space. 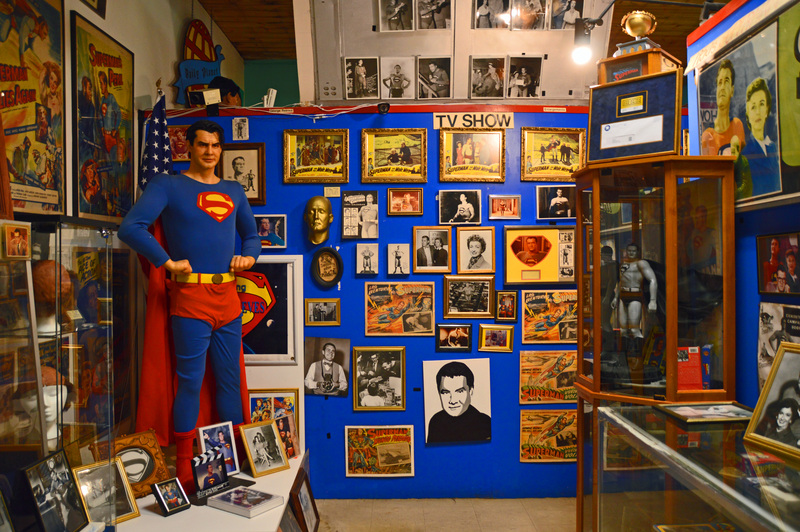 There are toys from every era, movie and television props including “Smallville” and “Man of Steel,” and one of the only George Reeves Superman costumes still in existence. The statues and the museum make this a great place to visit. There are also several historic attractions and outdoor recreational opportunities. Metropolis is simply a “super” destination! We have driven by Metropolis on many occasions, but have yet to stop. Your article gives us a new insight on this super destination. Thanks for sharing. It’s a great way to spend a few hours. Fun destination! Metropolis is definitely “Super”! Duh.. it took me a moment to make the connection :-). I like Superman and l remember reading somewhere about the murder of George Reeves. It’s a quiet little town and I admire their efforts at making it a destination — they are succeeding! They’ve done a great job of promoting their little town. The museum collection is overwhelming and fun! I was a huge fan of Superman comic books when I was a kid! 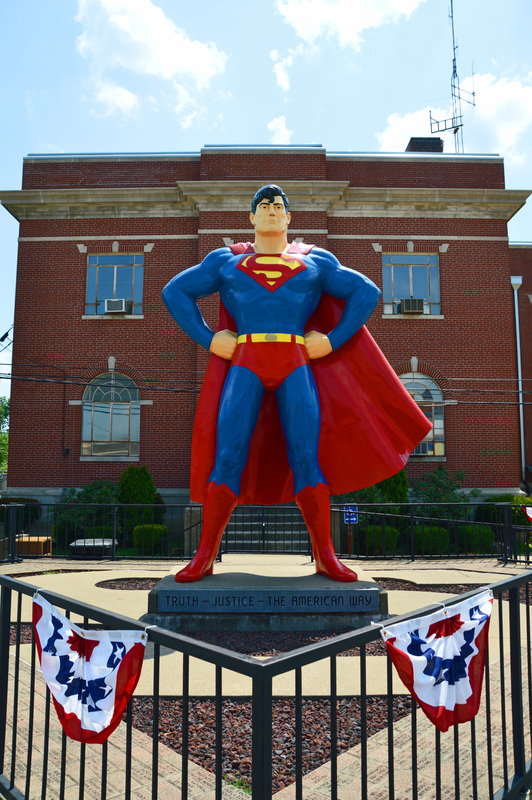 I would love visiting the Superman museum and since Metropolis, Illinois, is in the Midwest, not so far from me, I definitely need to plan a visit! It would be a nostalgic step back into my childhood. I so admired the museum and how he became a collector. There are so many significant pieces in his museum. You will enjoy it!! I was a huge Superman fan when I was a kid. I would have loved to have visited this! Such an interesting story. You will really enjoy the museum. It is chucked full of memorabilia and right across the street is the Superman statue. A fun stop!! What a quirky, wonderful town Metropolis is! I didn’t know Superman dated back to 1938…his character sure has endured in popularity! It was a fun stop on my road trip. I admire the city for promoting its name in such a fun way! I was a big fan of the Superman TV show, what fun it would be to visit Metropolis and see all that memorabilia. I love discovering quirky museums around the US. We have a Museum of Bad Art in Boston-now that’s a quirky spot! I wish I knew more about the B & B. It was beautiful and in a great location. The inn keepers were very friendly and I enjoyed my stay there. Never new about Metropolis, that there is a town of that name. Very cool for Superman fans and really for us not fans, looks fun. I’m not really a Superman fan, but I was intrigued with the city for promoting its name in such a fun way. I did enjoy the museum though. I really admire the collector. What a quirky small museum! Love it! It was fun and the food was great too! !